Chalk pastels are always top the list of my kids’ favorite art supplies to use, and there’s so many neat art techniques out there using them. 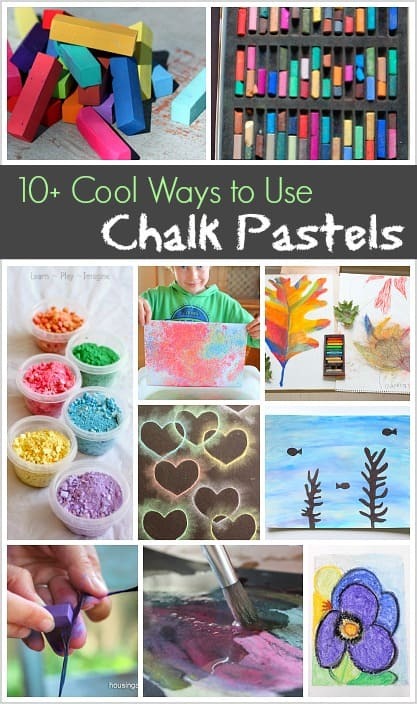 Here are some of the coolest art projects for kids using chalk pastels! We always have some chalk pastels on hand for creating (along with our other favorite art supplies). It seems like kids are naturally drawn to them because of their smoothness and vibrant colors. You can simply use them on paper for drawing and smudging or combine them with other materials for some unique looks! Now for the super fun part- how to use chalk pastels! 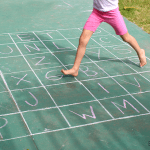 Here’s some ways we’ve used them in the past, as well as some really cool ways to use chalk pastels from some of my favorite kid bloggers! 1. 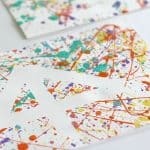 Create some stencils from cardboard and use your chalk pastels to trace them. You can even smudge the borders for a glowing affect! We’ve done this in the past with our Christmas Tree Light Art and our Colored Heart Collage. 2. 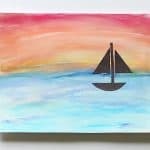 Combine your chalk pastels with tempera paint for a really unique look. We used ours to make ocean scenes. 3. Art History Mom shows us how to use your chalk pastels to create some artwork inspired by Georgia O’Keefe. 4. 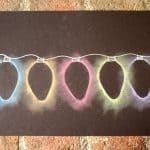 These floating chalk prints from Picklebums are one of the coolest ways to use chalk pastels for creating! 5. The Artful Parent uses nature to inspire these leaf drawings made with chalk pastels. 6. 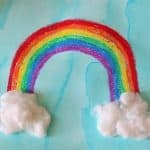 Tinkerlab shares how to introduce chalk pastels to your child or students in this simple tutorial full of helpful tips. 7. You can even use chalk pastels to temporarily color your hair. Housing a Forest has a great tutorial for this. 8. 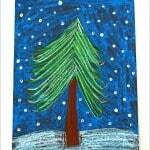 Combine the use of chalk pastels with a light table– fun idea from Where Imagination Grows! 9. Head on over to One Perfect Day to see how she incorporated water into the creating process. 10. 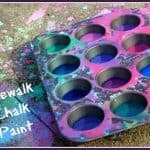 Here’s another way to use your chalk pastels with water from Learn Play Imagine. This would be a great way to use up all those little nubs. 11. 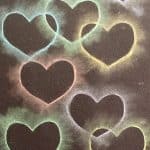 Mum in the Madhouse uses chalk pastels in this cool glue resist art project! 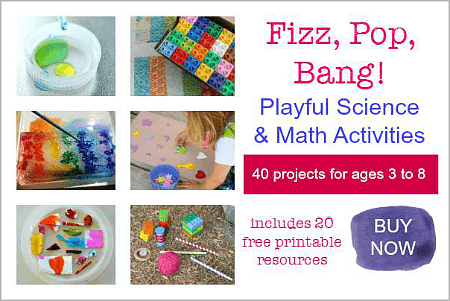 Find all kinds of creative ideas for kids in our ebook! Learn more about it here, or buy it now here!